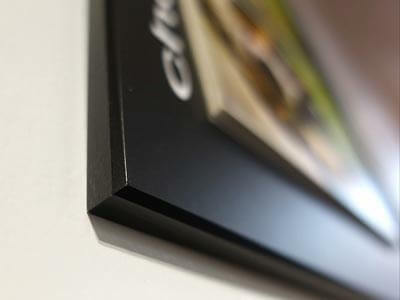 We offer a full range of wood laminates for your photos, documents or other materials. We can also plastify your materials of all sizes. We offer a wide range of shapes and sizes. Laminates can be rectangular, round or oval shaped, with a choice of rectangular or rounded corners. We can also trace fine lines of various colors and width around your image surface, and/or add personnalized text using 16 different typefaces.